​Risk Index at a 15 year high. ​Weekly Shooting Star 4 weeks ago (ellipse). 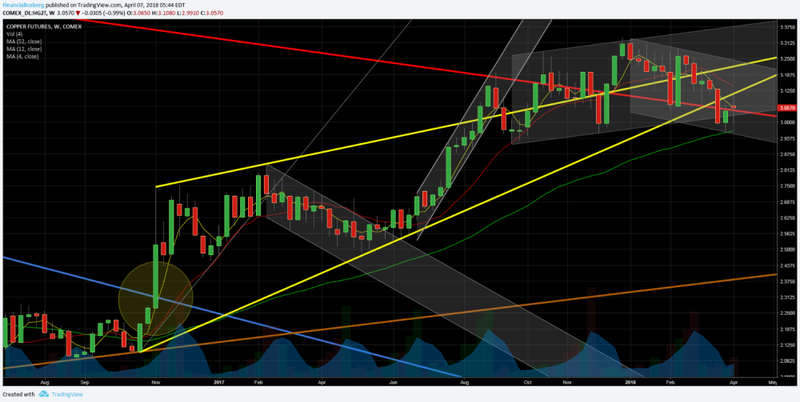 Into a Weekly Downtrend Channel. ​​​5) DXY Index (US Dollar Index) Strong Skirmish at the Major Support Trendline from a Weekly Falling Wedge, and got back above 7 weeks ago. 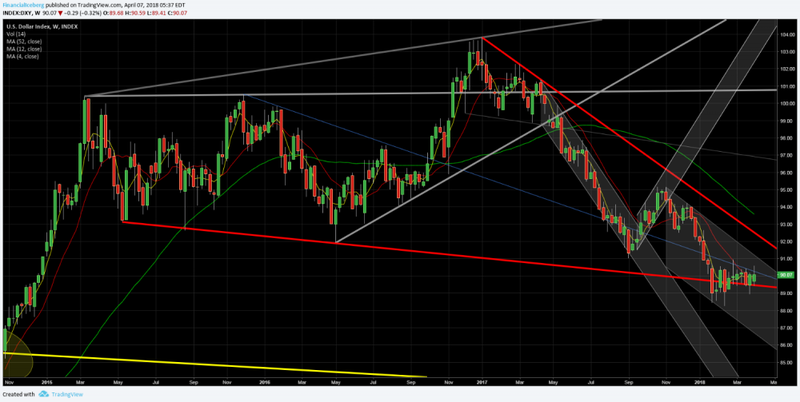 (See fifth chart below - Red Trendline)​ Still into a Weekly Downtrend Channel. 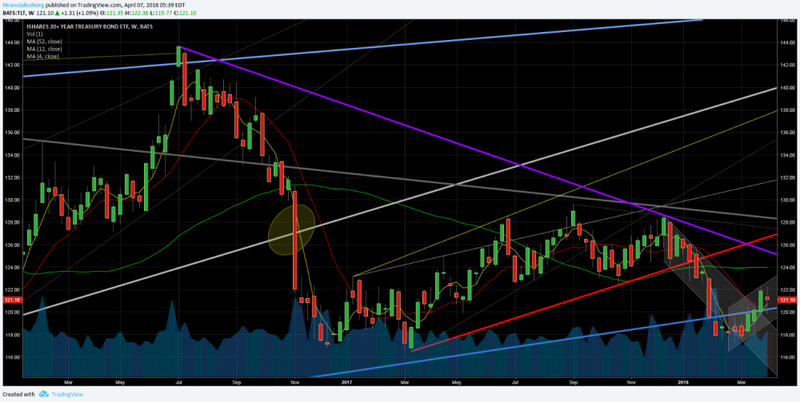 6) TLT ETF (iShares 20+ Year Treasury Bond ETF) Broke 12 weeks ago a Weekly Rising Wedge Support Trendline. 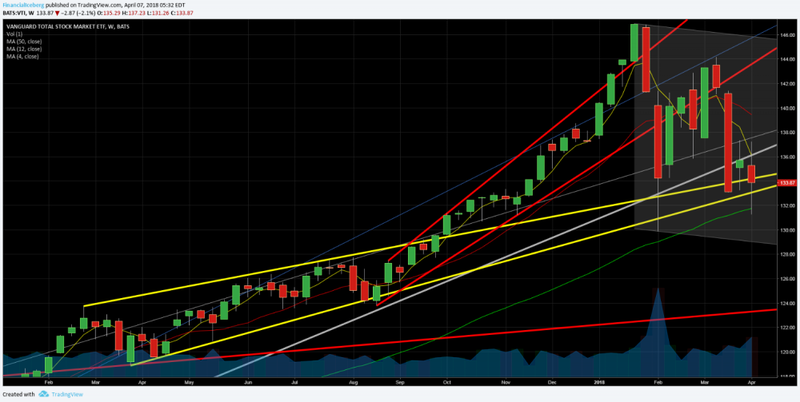 (See sixth chart below - Red Trendlines)​​ Back above 2 weeks ago the Major Weekly Rising Wedge Support (blue-from Feb 2011). Bulls need to protect that trendline (now support). 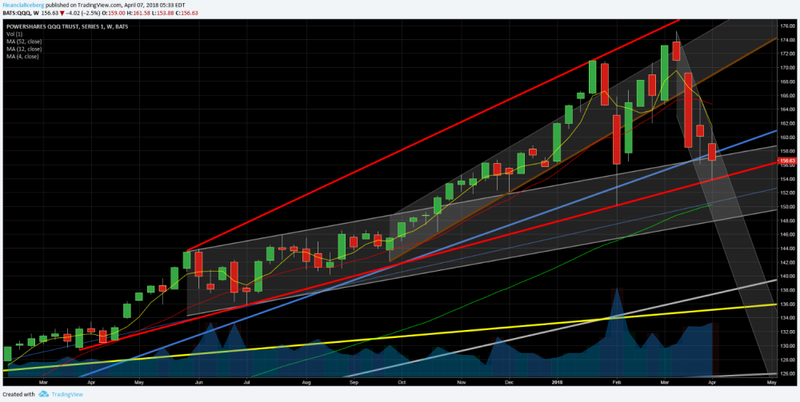 Into a Weekly Uptrend Channel. 7) VIX Index (​SP500 Volatility-CBOE) Broke 10 weeks ago a Weekly Falling Wedge Technical Pattern. 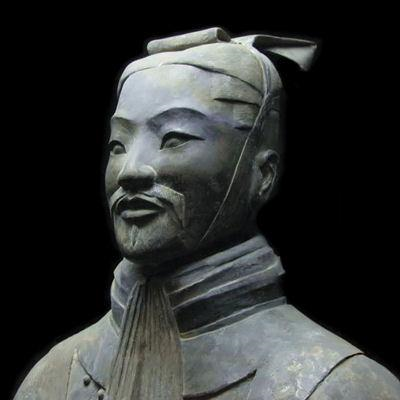 Started the new Volatility Phase. (See seventh chart below - Grey Trendlines). That trendline become weekly support. 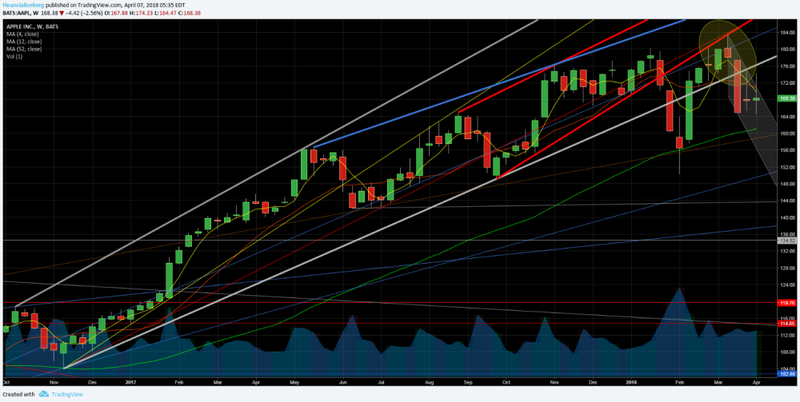 8) Copper Futures (HG2-COMEX) Into a weekly Uptrend Channel and testing the Support so critical for Bulls. 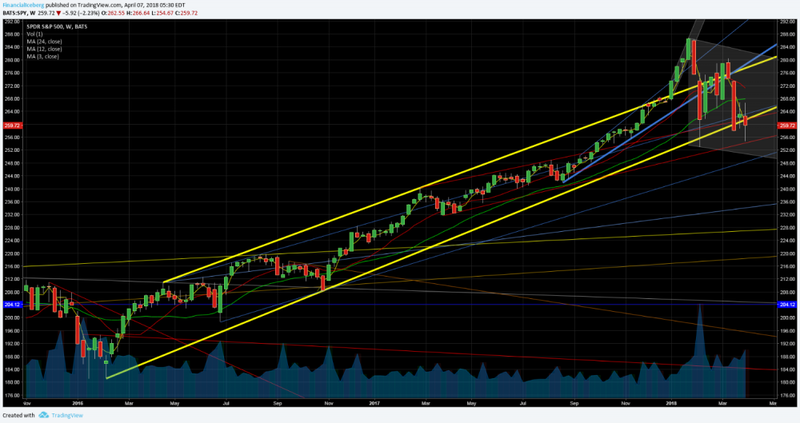 (See eight chart below-Channel) Broke the previous Rising Wedge Support (yellow) 3 weeks ago. 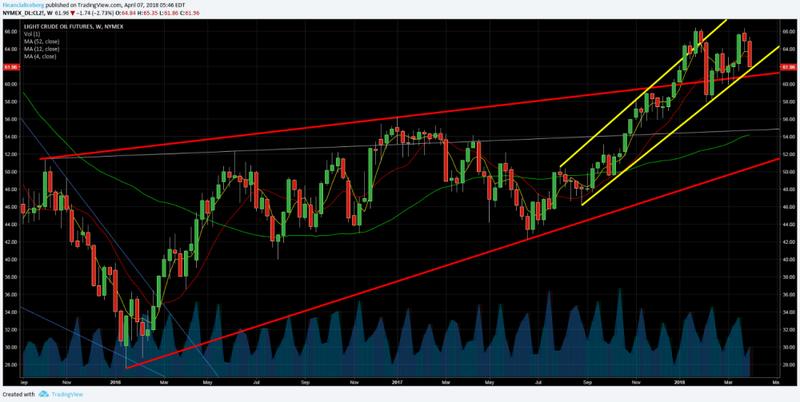 ​​9) Light Crude Oil Futures (CL2-NYMEX) Still into a weekly Uptrend Channel but near the Support Trendline. 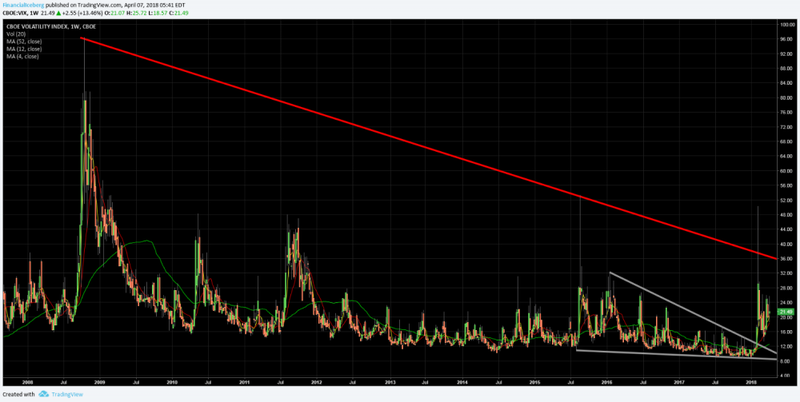 The weekly VIX chart confirmed 10 weeks ago that we are getting into a more volatile trading environment. The buy the dip mentality is still strong and will become costly toinvestors.​ Technology stocks underperforming the SP500 lately. Buyback stocks still holding that market for now.